Who doesn’t love bulldogs? Their muscular, wrinkled face, medium sized canines are the cutest. Having one is such a huge responsibility and paying attention to their needs is vital for their health and safety. If there is one aspect of taking care of bulldogs that make owners scratch their head, it's the selection of dog food. There are literally thousands of dog food on the market, and each product promises to suit best to your pet. However, you just can't pick whatever flashes on your screen first. Thus, if you are still looking for the best dog food for bulldogs, this article is for you. I will share with you some tips to make the selection process easy. At the same time, I will suggest products that you may consider depending on your needs. If you will ask me which dog food do I feed to my 15-month bulldog, it is the BLUE Wilderness High Protein Grain Free Adult Dry Dog Food. Among the products in the market today, this is the one that I found most cost-effective and packed with all the things that you are looking for. For one, it supplies the highest quality of protein-rich food that bulldogs are born to love. These muscular creatures will thrive best with lean muscles. Hence, having ample protein in a dog food is a must. Aside from protein, this product is also rich in essential vitamins and minerals that your pet needs to be completely health. The best advantage of BLUE Wilderness High Protein Grain Free Adult Dry Dog Food is the process of how it is made. 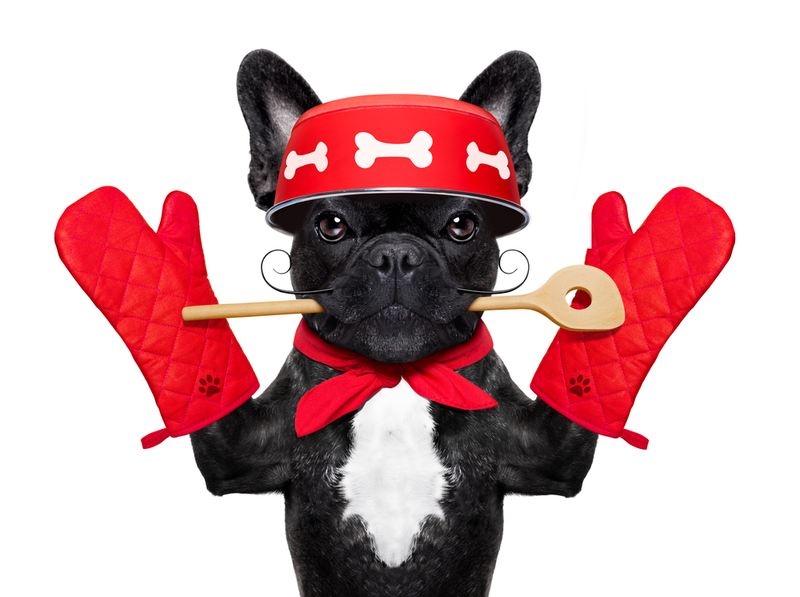 Unlike other products, this dog food is manufactured at low temperature. Hence, all the nutrients and minerals from its finest ingredients are locked in every kibble. This means an entirely loaded meal for your well-loved canines. Finally, when it comes to taste, Blue Wilderness is the master. They have found ways to blend a wide array of healthy ingredients and come up with flavors that your bulldogs will never get tired of eating. If your bulldog did not like Blue Wilderness dog food for some reason, here is an alternative that you may also want to consider. Rachael Ray Nutrish Zero Grain Natural Dry Dog Food is one of a kind product that uses a not so ordinary ingredient. Compared to its competitors, this product uses real salmon as its primary ingredient. Salmon is an ideal ingredient that is a potent source of essential nutrients and helps keep organs healthy and develop lean muscle mass. Guaranteed to be gluten and grain free, this product is perfect for dogs with a sensitive digestive tract. Aside from salmon, this product also uses a wide array of ingredients to supplement vitamins and minerals needed by your bulldog. One of these components is the sweet potato which is an excellent source of fiber and antioxidants. In addition, it also includes carbohydrates that are easy to digest such as tapioca and peas. Rachael Ray Nutrish Zero Grain Natural Dry Dog Food is undeniably a better option compared to other products that uses fillers and artificial ingredients making them affordable yet unsafe for your bulldog. If you want a quality dog food option for your bulldog that is gentle on your pocket, you will love this next option. NUTRO MAX Grain Free Natural Adult Dry Dog is an affordable alternative that most budget-conscious pet owners usually prefer. At a relatively low price, you are getting almost the same benefits from premium brands. One unique feature of this product is the fact that it uses chicken raised in farms as the primary ingredient. It also includes a selection of natural ingredients making up kibbles full of nutrition needed by your bulldog. With no artificial flavors and colors, this dog food will undoubtedly satisfy your pet’s cravings in every serving. To avoid unwanted allergies, NUTRO MAX Grain Free Natural Adult Dry Dog ensures its patrons that no soy, corn or wheat is added to the mixture. Depending on the taste of your pet, you can serve this product as it is or mix with moist food for variety. True enough, you don’t have to spend a whole lot of money just to have a nutritionally complete and well-balanced meal for your beloved canine. If budget is not an issue for you and your primary goal is to provide the best quality food to your beloved four-legged family member, then the Instinct Original Grain Free Recipe Natural Dry Dog Food by Nature's Variety might tick all the boxes for you. Nature’s Variety, the manufacturer of this fantastic product knows that your bulldog needs more protein every single day. Hence, they only use cage-free chicken as their main ingredient. This provides enough protein that will support more muscle development and strength in your canine. In addition, it has a unique blend of nutritional and oils and real animal ingredients that make up 70% of the product. These ingredients help promote good health and well being of your pet. The remaining 30% is composed of fruits and vegetables that supply the required vitamins and minerals for optimum growth. On the other hand, the producer of Instinct Original Grain Free Recipe Natural Dry Dog Food by Nature's Variety are responsible enough not to include ingredients that are harmful to your pets such as artificial color and flavor, grains, corn, soy and by-product meals. Thus, despite being pricey compared to its contemporaries, this dog food from Nature’s Variety can give you the best value for your money up to the last cent. Nulo offers another quality product that you may want to consider for your bulldog. Nulo Adult Grain-Free Dry Dog Food is a grain-free product that helps you keep your pet on a well-balanced diet with minimal side effects. One of the main advantages of using this product is the fact that it does not use grains as filler. Grains are major allergens for dogs. Hence, anything that your canine ingests must be free of any sort of grain. In addition, this product uses salmon and peas as its primary component. Salmon is an excellent source of protein necessary for muscle growth. Peas, alongside other natural ingredients, supplies this dog food with the right kinds of vitamins and minerals to help nourish them. This product also contains compounds that promote a healthy heart and faster cognitive development. Finally, Nulo Adult Grain-Free Dry Dog Food contains minimal amounts of carbohydrates which is perfect for the development of lean muscle mass for bulldogs. It is very difficult to imagine that in ancient times, bulldog﻿s were used as bait to lure bears. Today, however, they are one of the most common breeds of dogs since they are easy to train. In fact, bulldogs are always well-loved and considered to be part of the family. Weighing about 40-50 pounds, feeding bulldogs is quite a challenging task as you need to ensure that their nutritional needs are always satisfied. Bulldogs are medium-sized canines with quite a muscular body. To foste﻿﻿r the growth of lean muscles, bulldogs need to have the right amount of protein in their diet. Just like in human food, meat is the best source of protein for your pet. Various dog food brands use different kinds of meat as their primary ingredient. Some may use fish or chicken, while others prefer to use the red ones like beef or lamb. No matter what is the primary component what matters most is the preference or taste of your pet. To ensure that you are giving your bulldog the right amount of protein, always check the label for the protein content per serving. 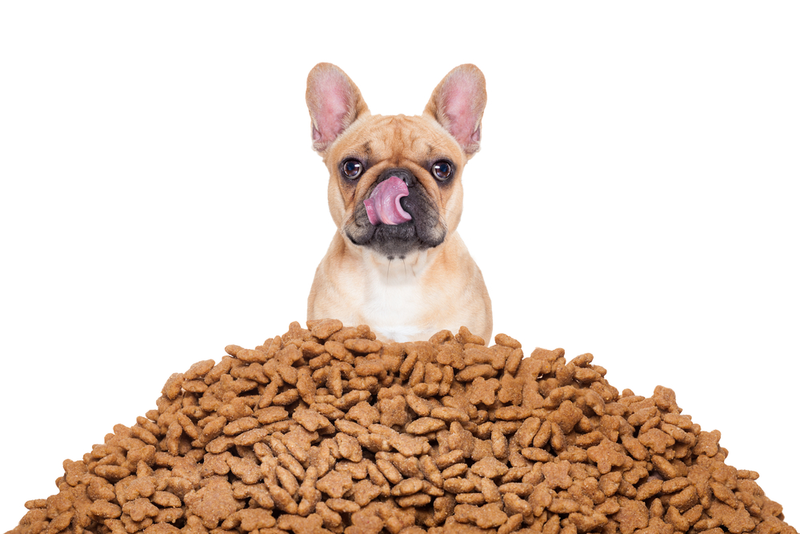 To be more economically viable, a lot of dog food manufacturing companies use food fillers to drive the cost down. They usually use carbohydrates and other grains which are generally fine for bulldogs. However, one thing that you need to watch out for as a pet owner is the presence of soy in your pet’s food. Among other products, soy is the most dangerous ingredient for bulldogs since they can cause allergies and it is a considerable threat to their health. If you are not sure if a particular product contains soy, you may check online forums or customer feedback to solicit details from previous users. 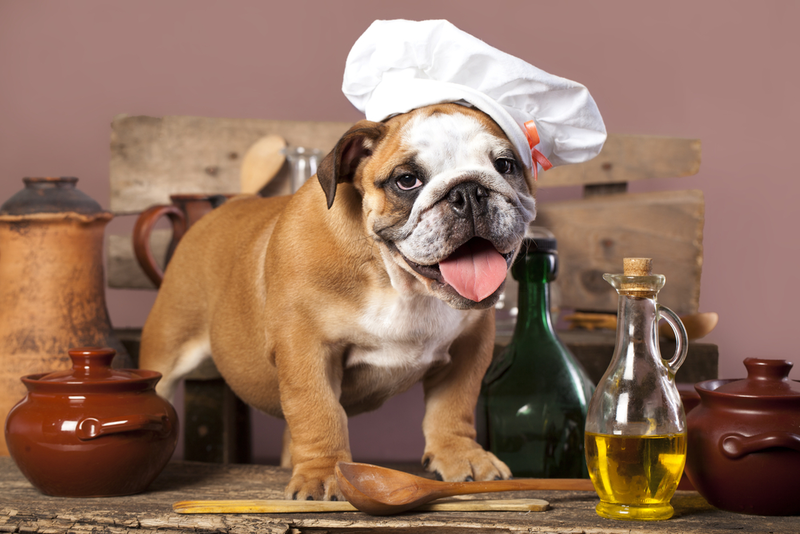 Unlike their feline friends, bulldogs are not strictly carnivores. They can also eat fruits and vegetables depending on the taste. Hence, adding fruits and vegetables to dog food is not a bad idea. In fact, they add a certain amount of essential nutrients and minerals needed by the dog’s body to thrive well. However, the downside of adding fruits and vegetables is the fact that it may alter the overall taste of food and may result in dogs not liking the food. If your bulldog loves a dog food with a substantial amount of fruits and vegetables, you’re a very lucky guy. 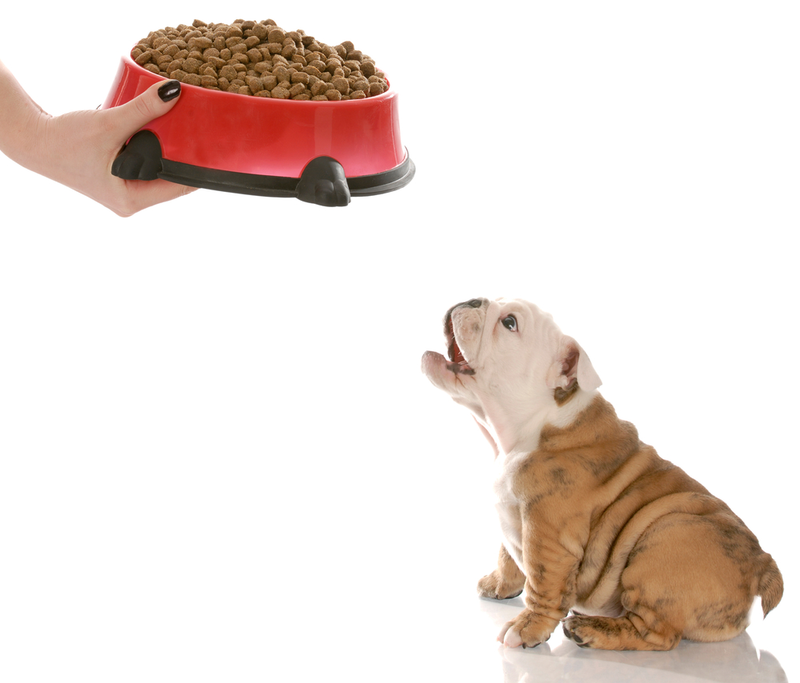 Believe it or not, selecting the best dog food for bulldogs is not limited to the nutritional value of the food alone. The manner as to how the food was p﻿ac﻿ked and delivered is also an essential factor that you need to weigh in. Dog foods are perishable items. It is easily affected by moisture, humidity, and temperature. Hence, always choose a dog food brand that uses durable packaging and containers. Plastics are excellent materials as they are durable and waterproof. In addition, tin cans are also superior packaging alternatives as it seals dog food from possible contamination and infestation of molds. We consider our pet as members of the family. In fact, we even spend a significant portion of our budget for their needs. However, paying a fortune for dog food is an impractical thing to do. The cost of dog food varies depending on the ingredient, brand, and nutritional value. More often than not, we get deceived by prices without considering the contents. Hence, compare the costs of various brands in price per pounds. In addition, always compare prices from several sites to ensure that you are getting the best bargain. Remember, dog food does not need to be expensive to be nutritious for your bulldog. With these considerations, it will now be easier for you to decide the available options in the market that best suit your bulldog and your budget. If you choose to change your dog food, it is always a good practice to pay attention to your dog for the next few days. And determine if there are changes in his behavior, appetite, physical features, and digestion. If you notice something that is unusual, stop giving the food and seek the advice of a professional. If you are asking which of these products will I feed my bulldog with, it is definitely the BLUE Wilderness High Protein Grain Free Adult Dry Dog Food and there a whole lot of reasons why. First, I am sure that my bulldog gets enough protein that it needs which is essential for muscular breeds like bulldogs. In addition, it also contains a wide selection of healthy fillers that provide vitamins and nutrients that canines need on a day to day basis. Another reason why this product is a deal maker is the fact that it does not contain soy. For owners who are very particular about allergies and runny stools, BLUE Wilderness High Protein Grain Free Adult Dry Dog Food is a perfect option for you. This dog food was meticulously formulated and blended so that your pet can get the nutrients that it needs without the nasty side effects. When it comes to packaging, Blue Wilderness just hit the nail on the head. They used a durable plastic to ensure that the dog food is kept sealed and contamination-free. Finally, you are getting the best value for your money with this product. Though it may not be the most affordable option, it offers enough reason to spend a little bit more. Never risk the health of your bulldog by trusting other brands. Choose from the options above or save yourself from trouble and settle with BLUE Wilderness High Protein Grain Free Adult Dry Dog Food which I highly recommend.